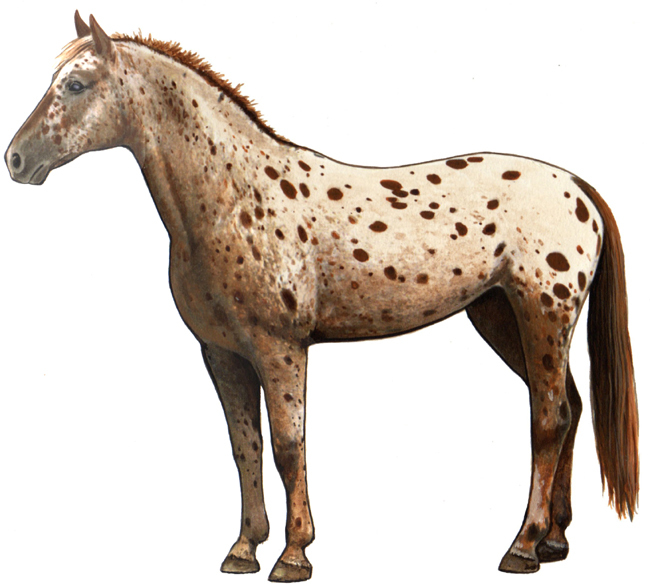 The Appaloosa�s colorful ancestry can be traced back to the earliest recorded time, but it is in the American melting pot that the spotted horse established itself as a true breed. The Nez Perce Indians of the inland Northwest deserve much of the credit for the Appaloosa horses we have today. As the only Native Americans known to selectively breed their horses, the Nez Perce desired only the strongest, fastest and most sure-footed of mounts. The influx of white settlers to the Northwest changed the Nez Perce�s destiny and nearly destroyed the legacy of their horse-breeding efforts. War ensued when some of the Nez Perce rebelled against imposed treaties. Over several months and over 1,300 miles, the Appaloosa helped the non-treaty Nez Perce elude the U.S. Cavalry in 1877. At the time of Chief Joseph�s surrender in Montana, the Army confiscated most of their horses, including Appaloosas. The prized characteristics of the distinctive horse then became lost or severely diluted due to indiscriminate breeding.